Our foundation females are from Boonyouin, Donna-Lynn and IBR. We select local and imported genetics to diversify our quality cow families. ​Up-sizing our property located on the Darling Downs has allowed for the expansion of our herd. We are thrilled to be increasing our numbers with the use of varying genetics within our AI and ET-Flush breeding programs. Producing quality cattle for both a commercial and stud purpose is what 'Greenwood Park' is trying to achieve. We are excited to be working towards these results and increasing our herd with the use of varying genetics for the future. The use of various breeding techniques 'Greenwood Park' strives in producing genuine performance cattle. Through the use of our AI and ET programs, we introduce many different genetics within our herd, creating cattle which are resistant to the harsh climates when required, yet can sustain appropriate weight gain to thrive. Therefore you can be rest assured that the female progeny produced will make fantastic foundation replacements in following years. Before selling bulls at sales/auction our rising two year old bulls are blooded for tick fever. Our Fodder Solutions system , pasture, grain, hay and cropping grows out our bulls. We like to handle as many of our bulls as possible to ensure new owners with easy to manage cattle. The breeding programs "Greenwood Park" run are effective and well managed. 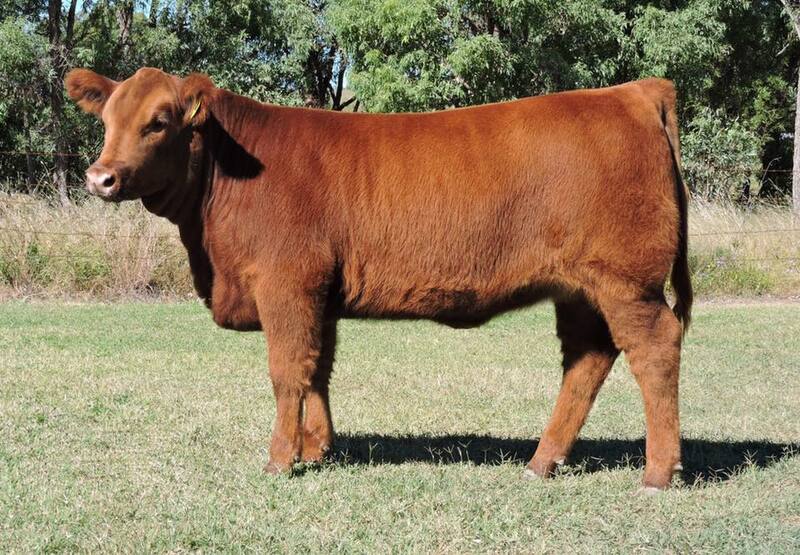 Red Angus cattle and Embryo Transfer cattle which are not in calf are placed with a registered cover bull enabling both a commercial and pedigree cattle to be produced in a timely manor.